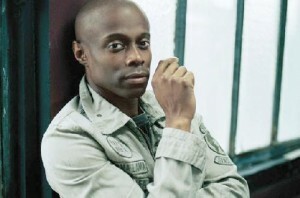 *Over the last ten years, Kem has cemented his place atop the Urban/Adult Contemporary charts and in the hearts of many; from “Love Calls” to “You’re on My Mind”, he’s stirred from his soul emotional ballads and mid-tempo grooves that have become his signature. This time around, he’s applying his formula of smoothness and intimacy to a Christmas album that’s he’s dubbed “What Christmas Means.” While his most diehard fans are anticipating the follow-up to 2010’s Intimacy: Album III, they will find their appetites satisfied by this holiday offering of covers and original compositions. This is a Christmas album for lovers, the spark to warmth on cold nights and ignites the feelings of the season. Sure, the standards are here, “The Christmas Song”, “Have Yourself a Merry Little Christmas” and “We Three Kings”, plus the R&B standard “Merry Christmas Baby”, but they each have his fingerprints all over them. No, this is not Bring Crosby or even Nat King Cole, it’s all classic Kem. He’s included his brand of soul into what has become background music during your shopping trips to solidify its place on your iPod on those trips to the mall. Kem has set out to inject the true meaning of Christmas into this season; the album opens with “Glorify the King”, undoubtedly to remind listeners for the reason to this happiest of seasons. The song sets the stage for the album’s tenor, as you’re never far recognizing the birth of Jesus Christ or acknowledging “a kind of love that never ends” as he sings on “What Christmas Means,” a song that seeks to define the true nature behind your child’s favorite day. The subtlety in his phrasing, wrapped in his silky vocals and slick lyricism removes any pretense of preachiness and allows you to get into the message. A track that will undoubtedly score among Kem fans and a casual listener is “Be Mine for Christmas”, a duet with the dynamic Ledisi, a playful ditty that brings the “quiet storm” to the twelve days of Christmas. However, “A Christmas Song for You” is far and away the strongest cut here; its melody and tone are reminiscent of Lionel Ritchie’s heyday and speaks to an emotional place many of us reach during the holiday season. Love is the order of the day from Thanksgiving to New Year’s Day and this ode to the love of a lifetime is on par with his most popular tracks and should become a staple for years to come. 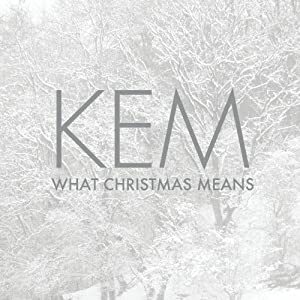 Christmas comes early in 2012; Kem has packaged a suite to carry us through the end of the year and find a place in the conversation of soulful Christmases, along with Donny Hathaway, The Temptations, Luther Vandross, The Whispers and Nat King Cole. Thank you Kem for reminding us what Christmas really means and extending that message for over 40 minutes, in hopes that we’re able to spread the sentiment for 365 days.